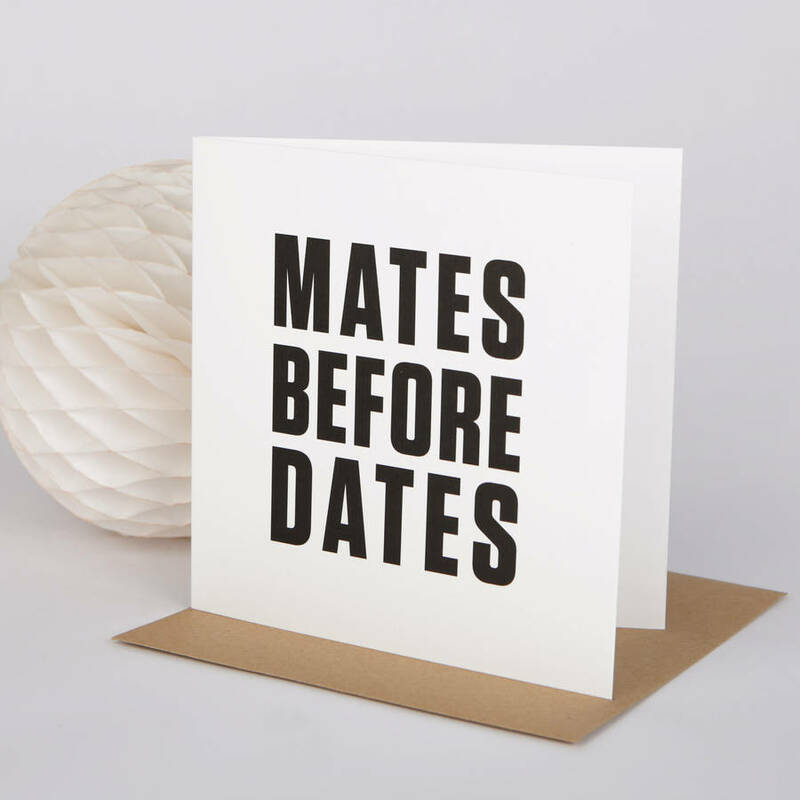 A funny friend card for the pal who needs thanking, comforting or reminding... that mates come first! 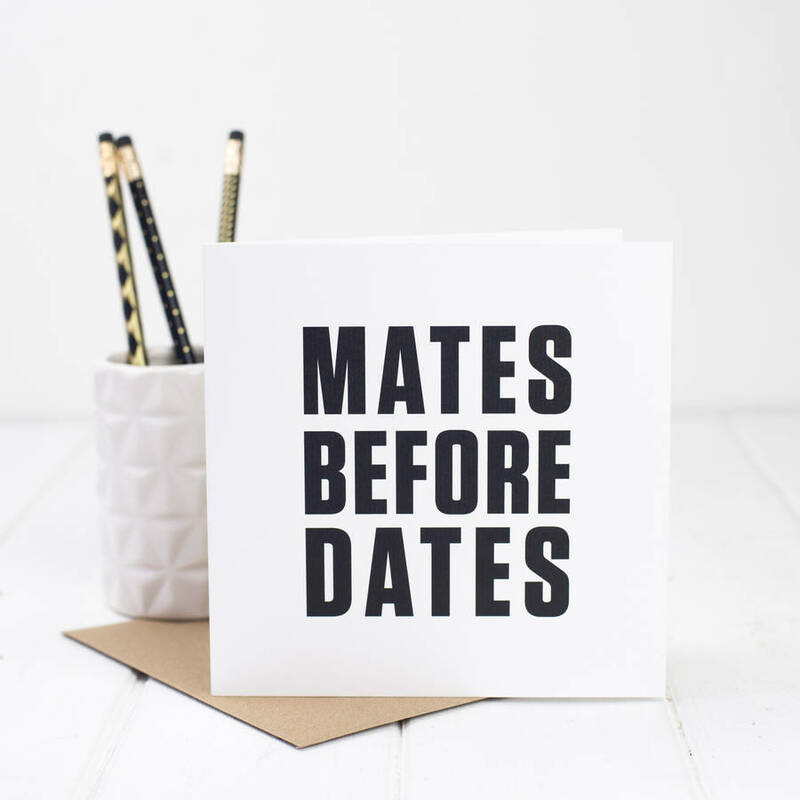 This humorous mates card is perfect for the loyal friend in your life, especially if they are newly single. It makes a funny talking point for birthdays and Valentines Day - a real 'I saw this and thought of you' gift! 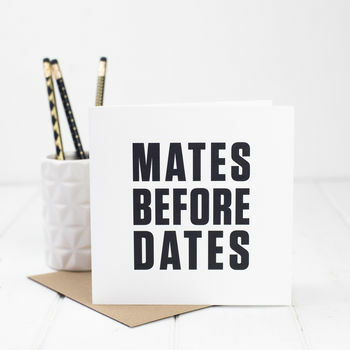 This 'Mates Before Dates' card is unique to Bespoke Verse. We specialise in rhyming gifts and were notonthehighstreet's 'Poets Less Ordinary' for their Valentines campaign 2015. See all our rhyming cards by clicking the link 'see seller's complete range'. We offer the option to have the card sent directly to the recipient and can write your message in for you. If you select this option please check your message and address carefully as we will write it exactly as it appears on your order. Don't forget to put the name of the recipient with the address and to check these options carefully again at checkout.